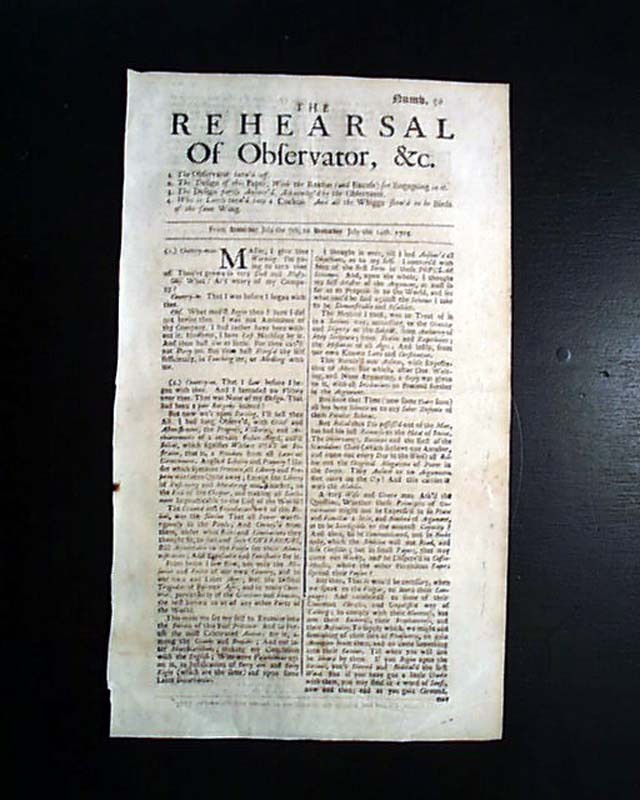 Item # 120190 THE REHEARSAL OF OBSERVATOR, London, England 1704-1706 A variant title --& earlier date--of the newspaper titled "The Rehearsal", and much less common. 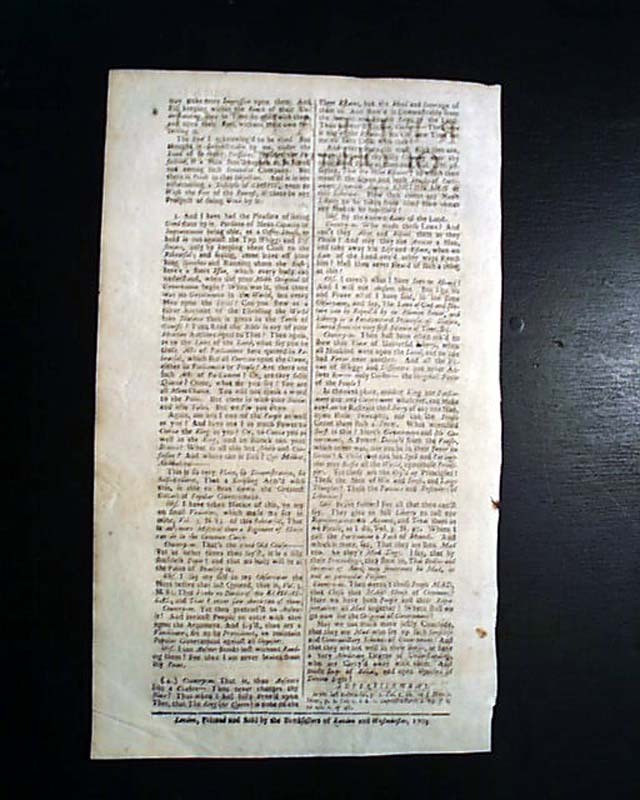 A single sheet newspaper printed on both sides measuring about 8 by 13 inches. The image shown is only an example of the layout and condition of what you will receive. Actual issues vary within the specifications given. 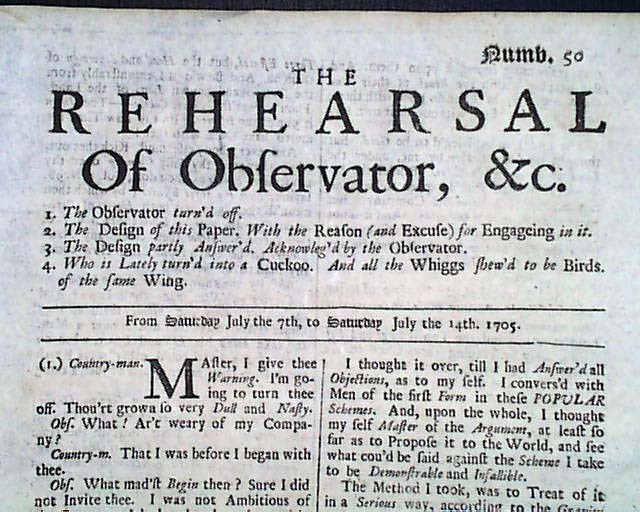 Note: Upon request, we also have issues of "The Rehearsal".